As speculation looms of a special session, Gov. Greg Abbott said Monday that state lawmakers didn't adequately address the issue of property tax relief. BELTON — With an announcement of a special session potentially hours away, Gov. Greg Abbott used a speech in this Central Texas city on Monday night to argue that lawmakers went home last week without adequately addressing property tax relief — a "shortcoming" in his eyes. "Our goal is to solve your challenges, to solve your problems," Abbott said at a Bell County GOP dinner. "I think there is one challenge, one problem, that many Texans face that went unsolved. It’s complex, but it needs to be addressed, and that is the incredible rise in property taxes in this state." Abbott and Lt. Gov. Dan Patrick had been pushing for legislation that would create automatic rollback elections when local property taxes rise by a certain amount. The Senate passed such a bill early in the session, but the House excluded the automatic rollback election measure in its version of property tax reform. "There has to be a solution, but it seems like at least a starting place — and maybe the best way to solve it — is for those who pay the property taxes — let them have a say on what those property taxes will be," Abbott said Monday. "Give them a vote on their own property taxes." Abbott's office notified reporters Monday afternoon that he will hold a news conference at 2:30 p.m. Central time on Tuesday at the Texas Capitol. A topic was not provided, but aides had previously left open the possibility he could announce this week whether he will call a special session. Patrick is pushing for a special session on unresolved debates over property taxes and a "bathroom bill" that would regulate which restroom transgender people can use. Abbott did not bring up the bathroom issue in his speech Monday night. Also looming is the failure of lawmakers to pass key legislation during the regular session that would keep some state agencies from shuttering. Since the session ended last Monday, Patrick has been on a days-long media tour across the state, assigning much of the blame for the legislative impasse to the House and its speaker, San Antonio Republican Joe Straus. "You can’t find common ground with someone who won’t negotiate," Patrick told a Dallas TV station Wednesday. "You can’t find common ground with someone who says, 'I’m not doing that.'" Straus, for his part, has kept quiet since the House gaveled out. At the time, he issued a statement saying his chamber "feels very good about where we ended up" and looks forward to going home. After initially promising to announce his special session plans in the latter part of last week, Abbott opened the door to a longer timeline Wednesday, saying he was waiting for the budget to be certified and to go through more bills on his desk. Comptroller Glenn Hegar certified the budget a day later. Abbott has otherwise kept his cards close to the vest as speculation about a potential special session has mounted. 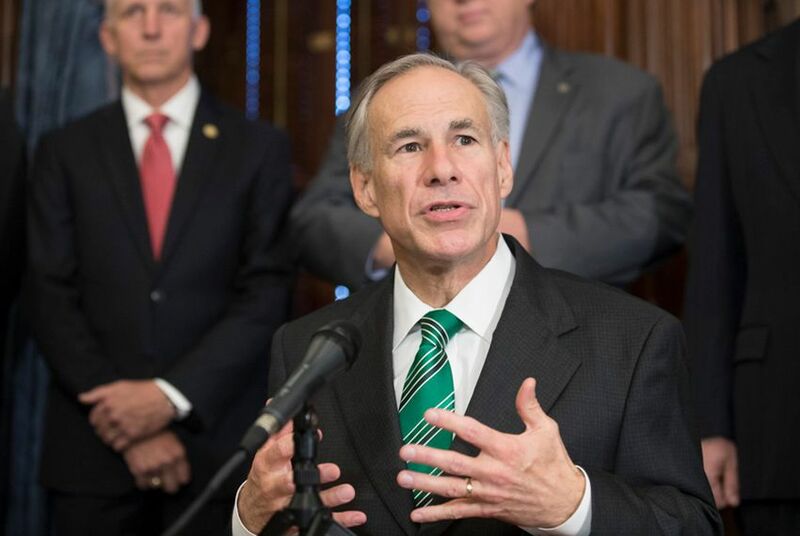 Lawmakers left the Capitol last week anticipating a special session, though since then, they have largely given Abbott his space to make what could be the most consequential decision of his governorship thus far. "Everybody's got their wish list and what they want to see," state Sen. Don Huffines, R-Dallas, told reporters Thursday in Plano. "I'm interested in good, conservative policy going forward and some of the things we didn't get done, but I'm going to let the governor make that decision."